Ever wonder what the difference was between struggling businesses and businesses that seem to dominate everything they do? I have. It’s something I’ve been studying my entire career while working with businesses everywhere, from startups to those making millions each year. 1.One for turning prospects into clients. 2.Another for turning new clients into immediately more profitableclients. 3.And a third for turning those clients into repeat, higher value ravingfans who spread your message for you. The acquisition path is the marketing system you put in place to turn prospects into first-time buyers of your service. During this phase, prospects are first learning about you. Out of the three systems, this is the one most people focus on the most (even though it’s the least profitable). Most people have no follow-up system in place. When potential clients find out about you they either do business with you right then, or they’re lost forever. That’s a bad position to be in. Coming up with the perfect value proposition. Segmenting your email campaigns so you’re speaking directly to thewants and needs of your prospects. Retargeting prospects to “follow” them and present offers that arespecific to the reasons they visited your website. Trust-building campaigns to establish trust. Authoritative content so they see you as an authority in yourmarketplace (which also builds trust). Long-term nurture campaigns so you’re in frequent communicationwith them, leading to you being in front of them when they’re finallyready to make a buying decision. Low-risk offers to have them make the leap from prospect to clients. Surveys to determine exactly who they are, what they’re struggling withand how you can help solve their problems. The purpose of this stage is to take them from the current stage of the buying process they’re in to the moment they realize that you are the ONLY choice as the solution to solve their problem. Your marketing systems need to be set up in a way to make the sale to anybody, whether those persons are nearly ready to buy when they first learn about you or are just starting their research. If you want to grow your business quickly, your main goal should be to acquire the maximum amount of clients upfront and then have back-end profit systems in place to make them more valuable to your business. Many businesses use something called a “loss leader” model where they acquire a new customer, either at break-even or even a slight loss. This allows you to scale your business because you know your back-end will make those loss leaders more profitable overall. However, this is mostly used when selling products. Since you’re a lawyer, that’s not necessary. The reason I bring it up is because it’s a great exercise to think about how you could make that happen—if you have to. If you can figure that out, it means you’ve come up with a way to dramatically increase your overall lifetime customer value. When you dramatically increase how much an average client is worth to your business it allows you to spend more, which takes your business to an entirely new level. One of the ways you can do this is in your profit generation path. The profit generation path is the point in between the prospect and client stage. It’s the stage where you make an immediate upsell the moment they buy from you. For example, the second you generate a new client you can offer them additional services which add more value to them. An easy example of this is buying a new car, followed by the salesman asking you if you want one of about a dozen “extras” such as an extended warranty, upgraded tires or seats, or a custom paint job, just to name a few. The point of this stage is to decrease the amount of time it takes to make that new customer more profitable to your business. Instead of waiting several months to hit your ROI goals, you can do so in a matter of minutes. Your final stage includes systems you have in place for your customers. Think about what you have in place now. What happens to a customer after they buy from you? Do you follow up with them… ask them how the order/experience went… make sure they’re getting the most value out of your product/service… offer them additional products/services that can help them… or ask for referrals? I’m always stunned by how many businesses make a sale, collect money from those customers who allow their business to be profitable… and then never get in touch with them again! Remember Scrooge McDuck’s room full of gold? It’s like being given access to that room for an entire year, yet you simply walk in, take one handful, walk out and never return again. Crazy, I know. But that’s exactly what happens in 95% of businesses today. It’s also why you need to have follow-up systems in place for your clients. To stay top of mind, offer them additional services they may find valuable, ask for referrals and make sure they never even consider doing business with any of your competitors. Now that you know what you need to do, the first step is taking a look at what you already have in place and which of these three systems would give you the fastest revenue growth. For example, if you already have no problem getting new clients but aren’t converting them into repeat buyers, you should start with #2 or #3. On the other hand, if your clients tend to become raving fans on their own, put your time into getting more clients, at a lower cost, on a more consistent basis. In other words, your next step is finding the holes you have in your marketing, and fixing them! I hope this article has helped you and given you a clear path as to what you need to do to increase revenue in your business this year. About the Author: Jeremy Reeves is the CEO & founder of www.GetDreamClients.com. They help coaches, consultants and service professionals get and stay fully booked at all times, increase their fees and enjoy more time freedom through strategic automated marketing. To learn more, including a complimentary training workshop on how to attract and close as many dream clients as you can handle, visit www.GetDreamClients.com. This article is being reprinted with permission from Consultwebs. 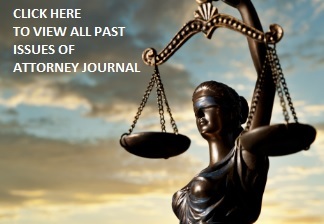 the premier provider of innovative online legal marketing to ethical U.S. law firms seeking growth and profit. Website: http://www.consultwebs.com.